Trying to decide between a romantic or quiet getaway or a trip to the amusement parks in Pigeon Forge and the attractions in Gatlinburg? Choose both and stay at Cherokee, a lovely one-bedroom studio cabin that has all the modern amenities to which you are accustomed with plenty of extra luxuries. 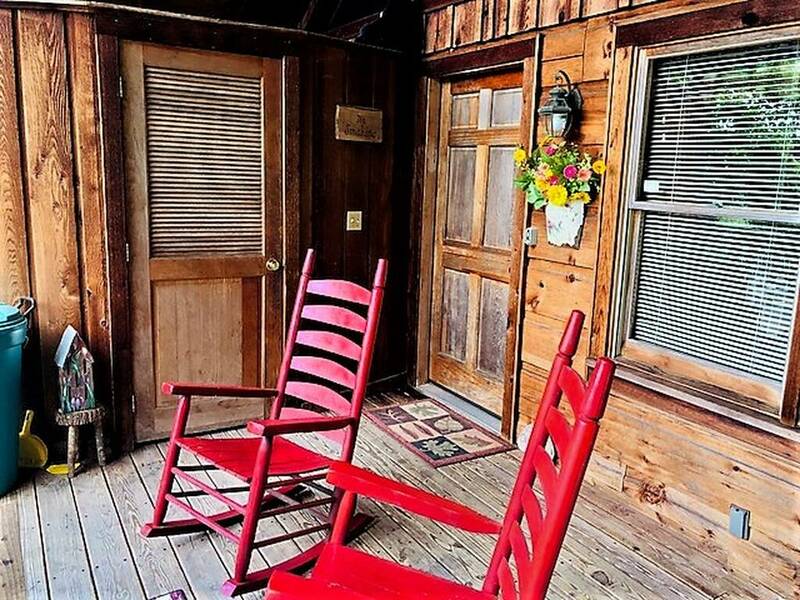 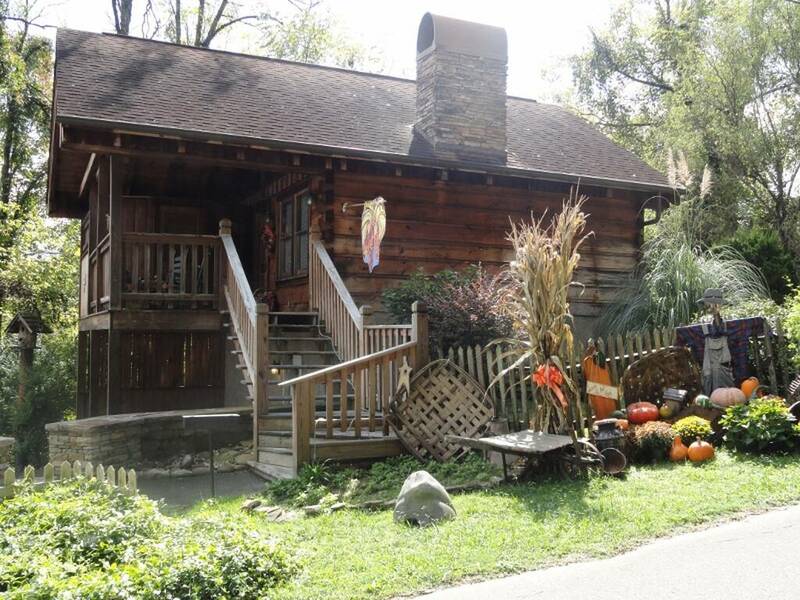 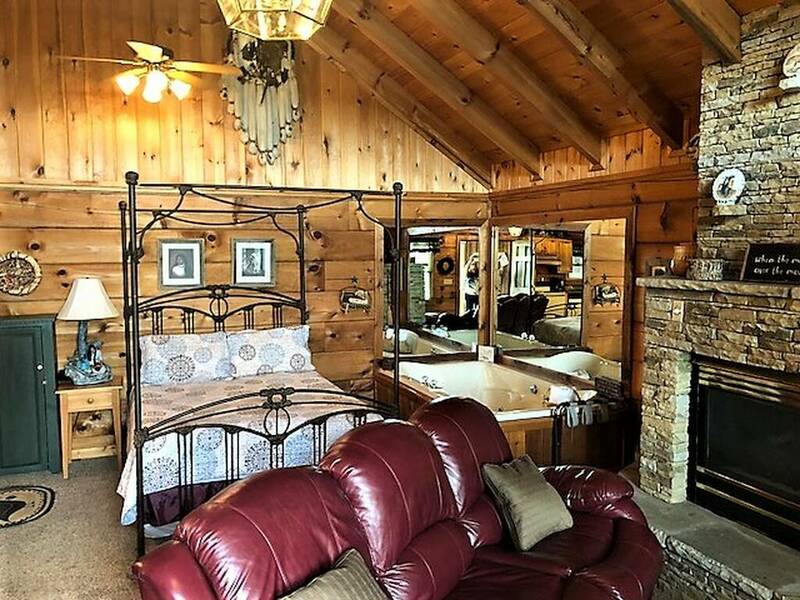 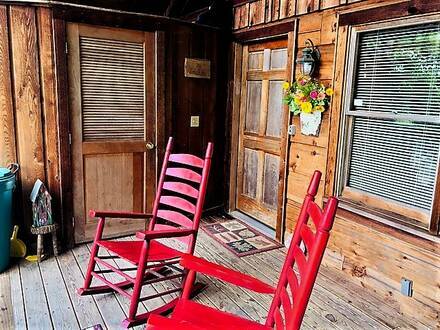 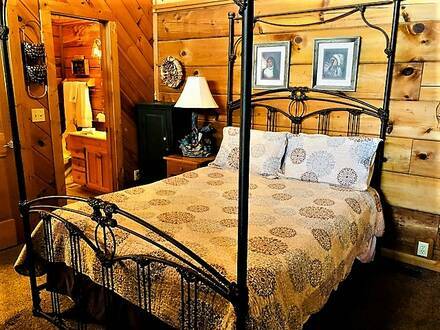 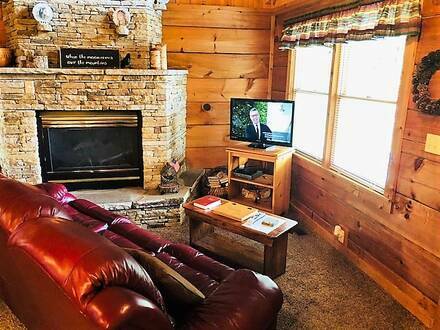 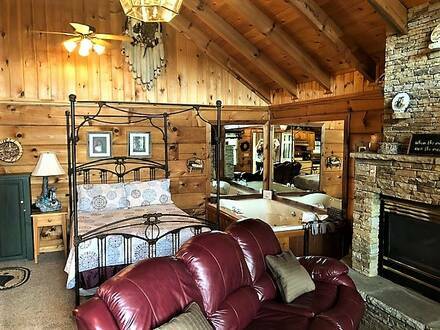 Decorated seasonally, this charming spot offers a great place to enjoy the peace and quiet of the Smokies, but is within walking distance of the Parkway in Pigeon Forge and short drive to many attractions in Gatlinburg and the national park. 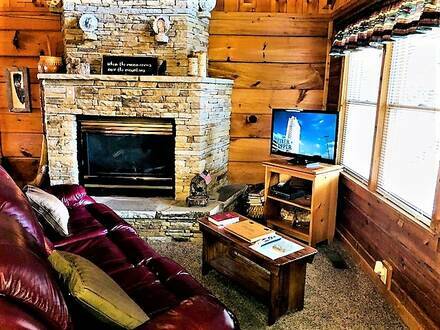 Spend a day hiking, enjoying roller coasters, or playing miniature golf and then head back to your cabin for some R&R. The hot tub is a great way to relax and the clear mountain air will eventually have you yawning and ready to enjoy your comfy four-poster bed. 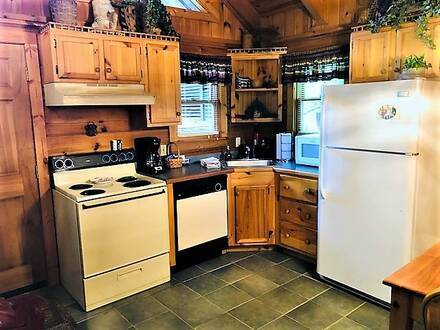 There is also a jacuzzi should you feel like staying in, plus Cherokee has a full kitchen and charcoal grill so you can pack snacks and a picnic. 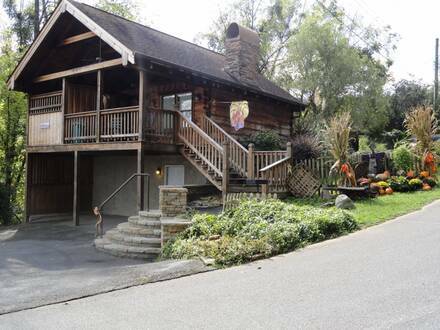 Everyone gets a free pancake breakfast at Reagan’s House of Pancakes as well! You can easily walk from the cabin to the center of Pigeon Forge, with a short driving distance to many Gatlinburg attractions and the Smoky Mountains. 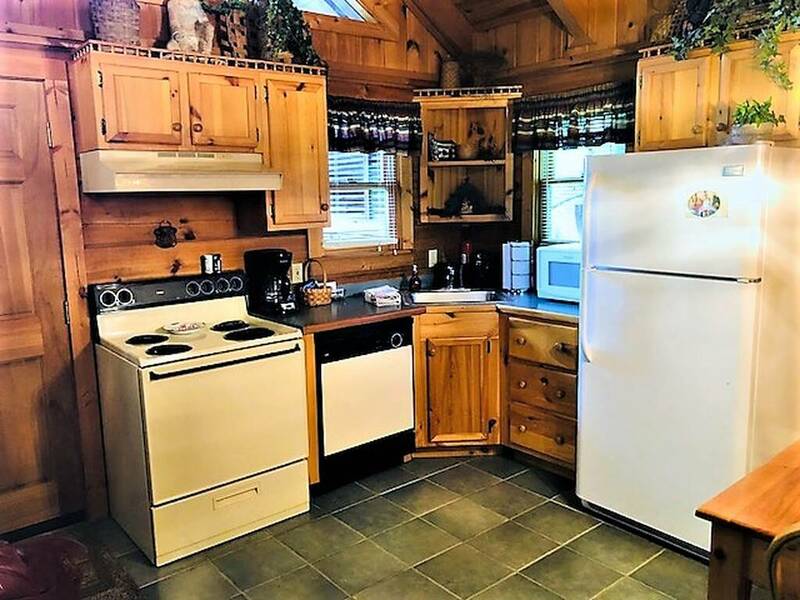 This cabin also works well for a larger group, with four other one-bedroom cabins nearby: Country Charm, Honey Tree, Sugar Plum, and Twin Hearts. 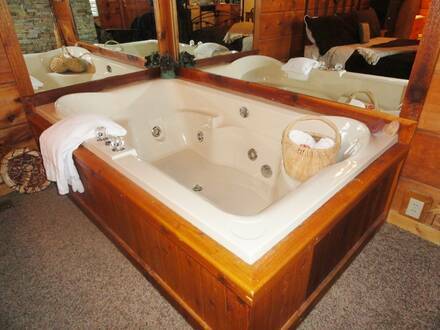 Book your solo our couples’ getaway online or on the phone today!